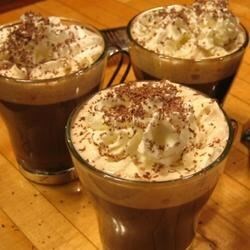 "Mixing warm coffee with tequila and coffee liqueur makes for a perfect 'apres ski.'" Watch a professional bartender mix up a Mexican coffee. Delicious! Such a great flavor. Very tasty without whipped cream too. I did not enjoy this drink what-so-ever. I have been trying to find another tequila drink other than margaritas and this one definitely isn't it. Yummy coffee!! We also added a touch of sugar to sweeten it up a little and it tastes great. Very simple coffee but you must like tequila! I guess I am not a fan of tequila in my coffee. I liked the cinnamon and cocoa powder on top of the whipped cream and will try that the next time I add Kahlua to my coffee. I found this to be a fun new drink to have with a dessert. The tequila was a twist I wasn't used to have with coffee. Yum! I love this!! Nothing to change. Just make it and enjoy.